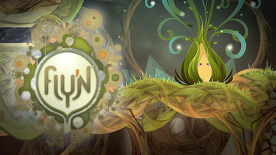 Fly'N uses his singing to interact with his environment and keep moving. Lyft can stick to almost any wall. Ywok, once inflated like a balloon, is invincible and bounces everywhere. Nyls propels himself through the air. Challenge your skills through more than forty levels.